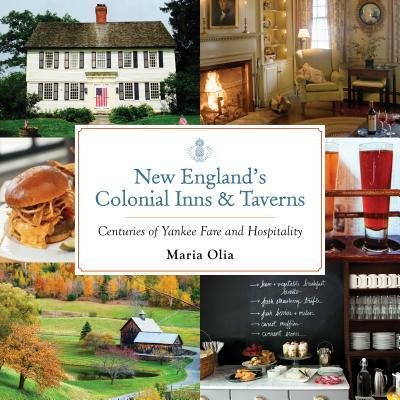 New England's Colonial Inns and Taverns explores the history of these institutions and visits those that are still around. Today, there's no better remedy for the winter blues than a visit to a Colonial tavern. For centuries, travelers who have stepped out of the cold and into a tavern have found not only hearty Yankee fare, but also a feast for the senses: the warmth of a roaring fire, the creaking of uneven plank floors, the intoxicating incense of a smoky hearth and mulled apple cider, the taste of a cocktail chased by a swig of history. Centuries ago, taverns offered respites for weary wayfarers on horseback. Today, they remain welcome havens from high-speed lives. A near-native New Englander, Maria Olia is a freelance writer who has lived in the Boston area for thirty years. Her work has appeared in the Boston Globe, Mobil Travel and Working Mother. She is also the author of the Day Trips from New England, Discovering Vintage New York, and Little Black Book of Boston.